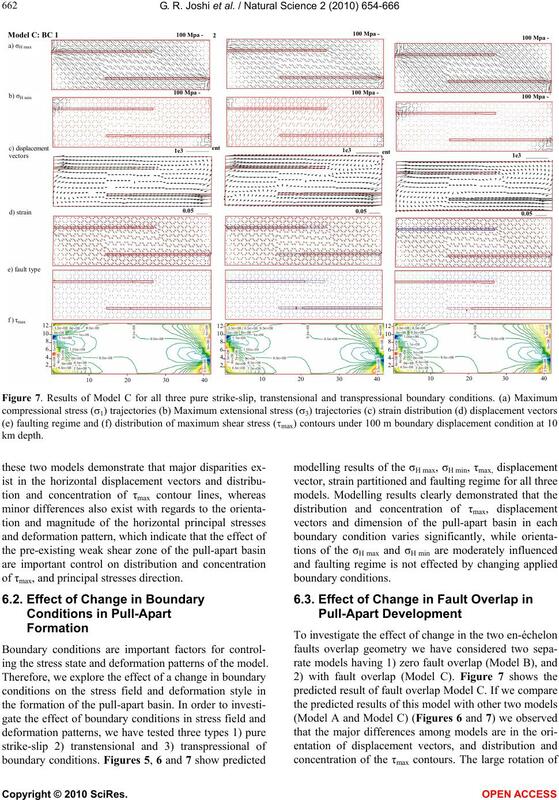 Received 29 January 2010; revised 12 March 2010; accepted 16 April 2010.
morphology of the pull-apart basin formation. in their geometry and structural characteristics [5-7]. releasing overstep along a strike-slip fault. (b) transtensional, and (c) transpressional conditions. significant mineralization  geothermal fields . Co pull-apart basin in the southern Tibet. ling the dimension and deformation pattern of the basin. 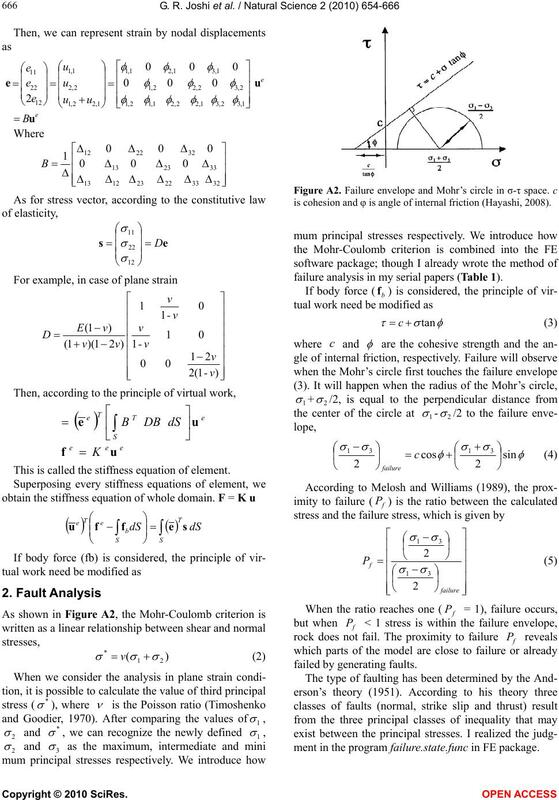 failure criterion of faults formation. part of the India-Asia collision zone . , and is located at 31°10’N and 91°10’E (Figure 3). extending toward the NW and SE strike-slip fault zone. 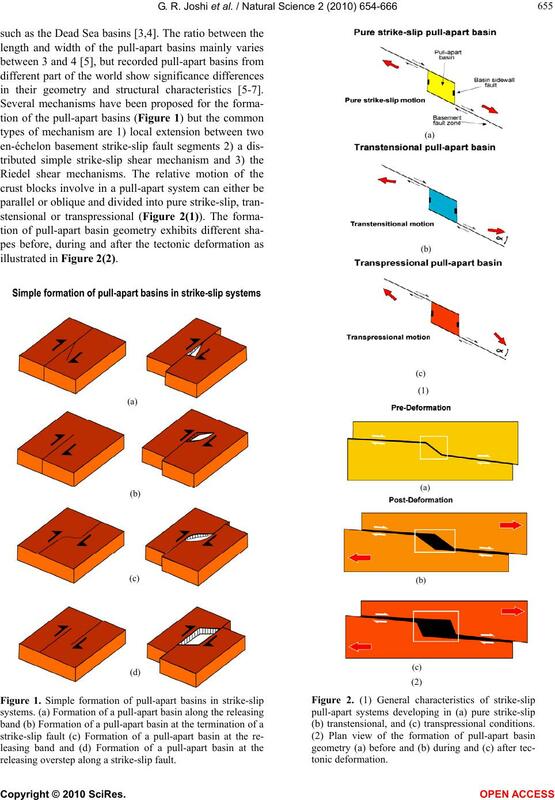 faults are from Mercier et al. (1987) . tension of the region . BCFZ, and domain 3 represents surrounding regions. ent overlap/separation ratios (Model B and Model C). sional conditions for modelling (Figure 4). to the lower and upper edges, respectively (Figure 4(c)). A, B and C. The triangular elements show the finite element grid. brittle part of the lithosphere [24,31]. tained from the Handbook of Physical Constants . pre-existing pull-apart basin in model. σ1, σ2 and σ3 applying Mohr-Coulomb failure criterion. prominent difference among three boundary conditions. part of the pull-apart basin. mains in the finite element models. effect of different overlap on the stress distribution. 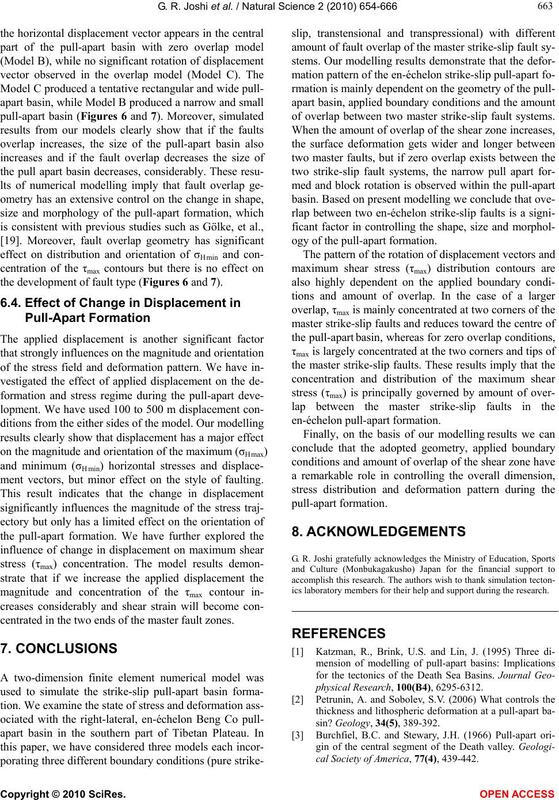 opment of faulting regime of the Model B and Model C.
overlap of the two master strike slip faults in the model. 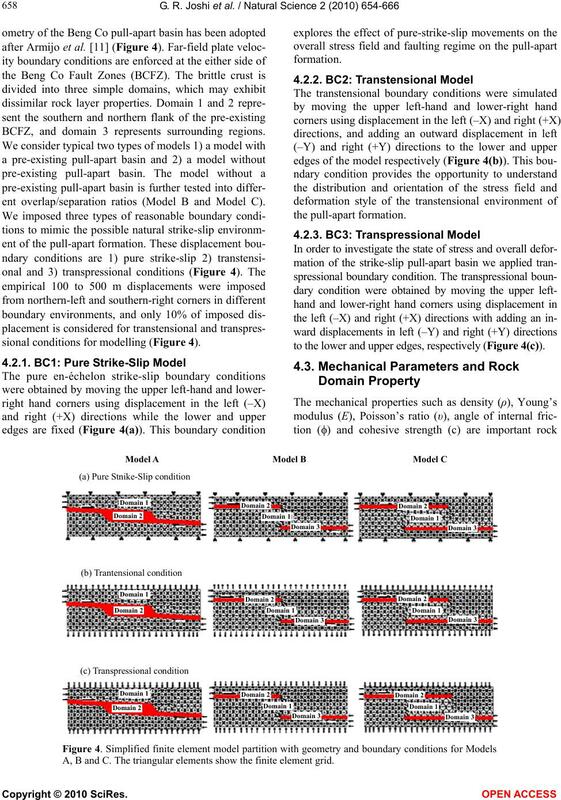 uted for the different boundary conditions in Model B.
ter strike slip faults in the Beng Co pull-apart basin. tion pattern during formation of the pull-apart basin. of τmax, and principal stresses direction. 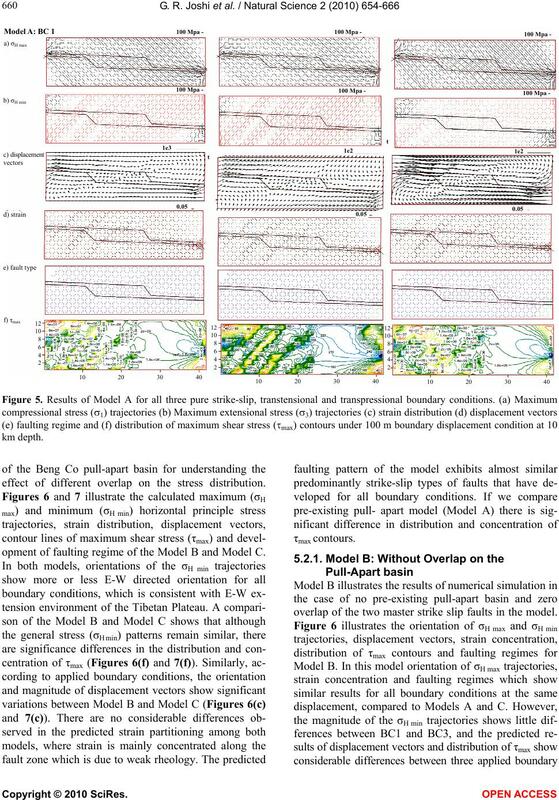 ing the stress state and deformation patterns of the model. the development of fault type (Figures 6 and 7). ment vectors, but minor effect on the style of faulting. centrated in the two ends of the master fault zones. of overlap between two master strike-slip fault systems. ogy of the pull-apart formation. ics laboratory members for their help and support during the research. cal Society of America, 77(4), 439-442.
logical Society of America, 100(11), 1666-1703. 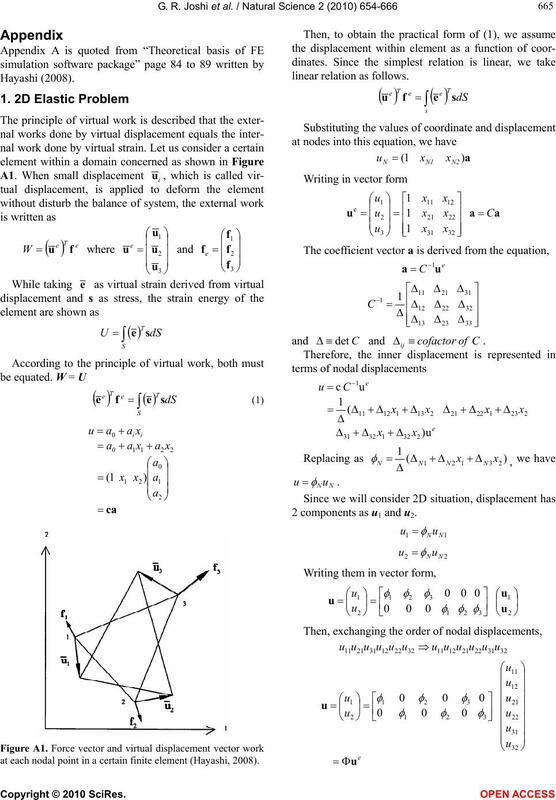 Bahat, D. (1983) New aspects of rhomb structures. Journal of Structural Geology, 5(6), 591-601.
the North Anatolian Fault. Terra Nova, 14(2), 80-86. 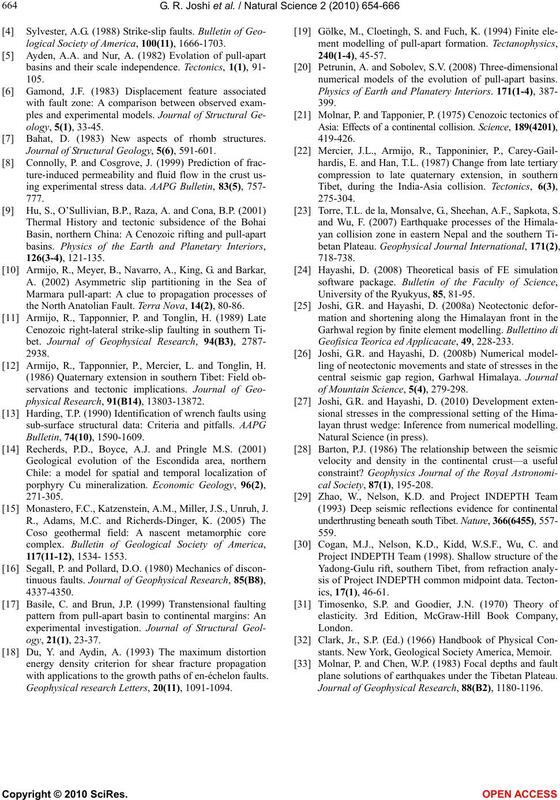 Armijo, R., Tapponnier, P., Mercier, L. and Tonglin, H.
 Monastero, F.C., Katzenstein, A.M., Miller, J.S., Unruh, J.
with applications to the growth paths of en-échelon faults. 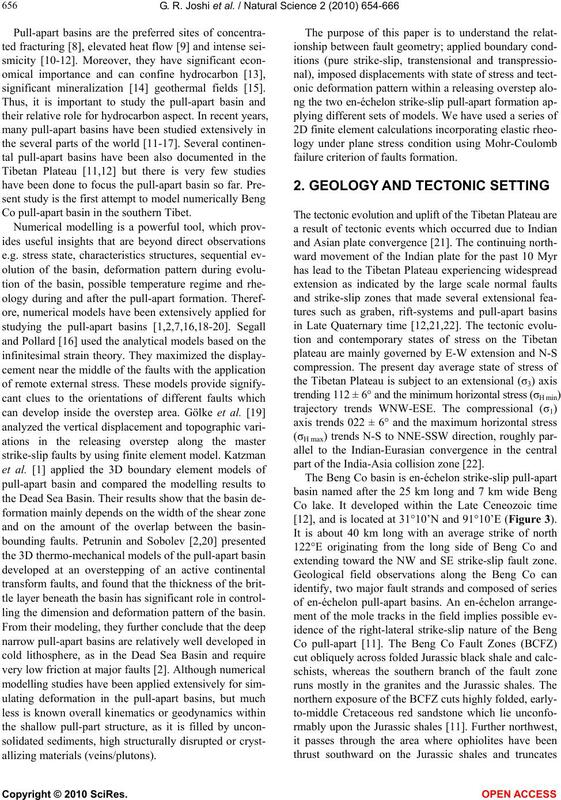 Geophysical research Letters, 20(11), 1091-1094.
numerical models of the evolution of pull-apart basins. Torre, T.L. de la, Monsalve, G., Sheehan, A.F., Sapkota, S.
University of the Ryukyus, 85, 81-95. 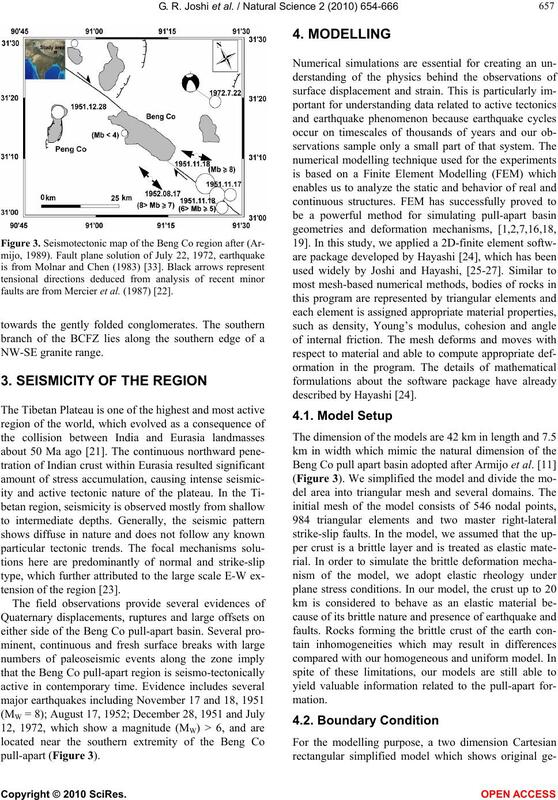 Geofisica Teorica ed Applicacate, 49, 228-233.
of Mountain Science, 5(4), 279-298.
layan thrust wedge: Inference from numerical modelling. stants. New York, Geological Society America, Memoir. plane solutions of earthquakes under the Tibetan Plateau. 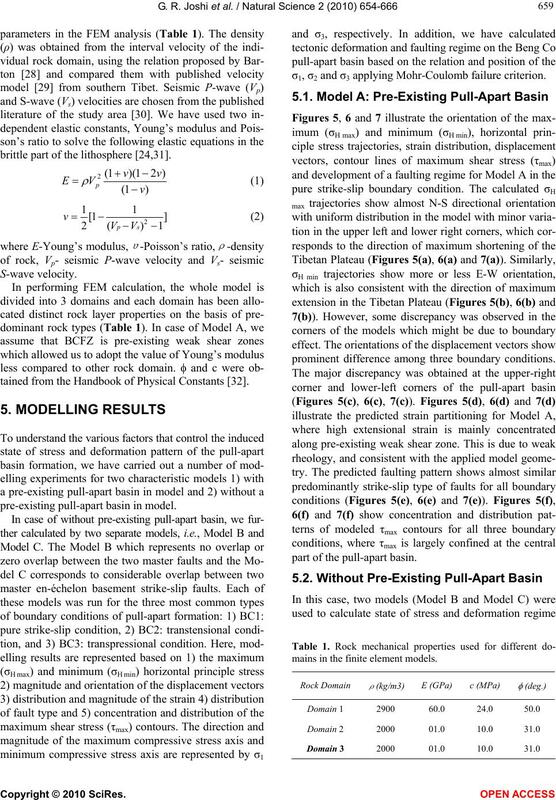 Journal of Geophysical Research, 88(B2), 1180-1196.
at each nodal point in a certain finite element (Hayashi, 2008). 2 components as u1 and u2. This is called the stiffness equation of element. is cohesion and φ is angle of internal friction (Hayashi, 2008). failure analysis in my serial papers (Table 1). ment in the program failure.state.func in FE package.